and their board members benefit from CAI membership. your community association clients. Remember, each new member makes CAI a stronger, more effective advocate for you, your clients, your profession and your business. 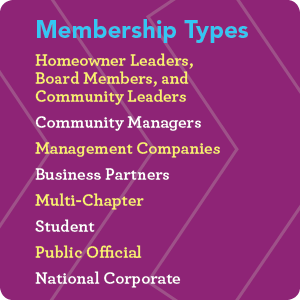 Click here for a Board Resolution to add CAI membership for your community association board.